I recently mentioned turmeric powder in this post and I discussed how incorporating it into your diet can have many health and beauty benefits. Many of you wanted to know how exactly you can incorporate it into your diet. One of the best ways to reap all the benefits of turmeric is to make turmeric tea. Turmeric is a spice that is often used in curry dishes. It has been used for years in holistic medicine as a digestive aid and a wound healer. 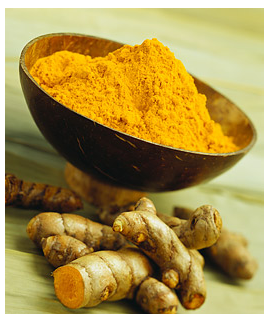 It is also a powerful anti-inflammatory that has been used by both the Chinese and Indian cultures for years. Enjoy! Please let me know if you try this out. I personally love it but would love to hear what you think as well. I'm not a tea drinker but I am always hearing about how good it is for you so I really should jump on the bandwagon! I´ve been using tumeric mixed with black pepper and garlic powder kept in a shaker by my stove. It goes into everything I cook. As someone with arthritis I no longer need to use anti-inflamatories, coincidence, maybe? I will try the tumeric tea, thanks for the tip. Anonymous- that is so great to hear! I'm so doing this. I love tea. Turmeric is also really good for brain health and memory. I'm obsessed with curry and probably eat it atleast once a week so I know at least I am getting some turmeric in my diet. I've never heard of it in tea though; may have to give it a try! Okay, this is going to be my new daily drink. I see "anti-aging" and I am on board! I need to start drinking more tea! I tend to lean towards coffee when I want a hot drink but tea would be a nice alternative! You have so much information, and I am so happy how freely you share it with the rest of us. Thanks friend! This is awesome. I love tea AND curry. Ha. Hope you are having a great start to your week, Lindsay! What an interesting idea! Will need to try this! Thanks so much for sharing this skin tip, I never would have even thought to use tumeric. I will have to give this a try. I am a mother of 5 kids and always looking for a cheap easy way to make my skin look better without having to spend a lot of money. I love all your tips and have become friends with all the workers at my health food store cause I have been trying all your fun ideas. I am wondering what are some more tips for anti aging. I have just noticed the last few months I am getting lots of wrinkles! Ahh Help! i will definitely seek this out. anything for anti-aging, and I'm in! I'm giving away 5 shirts from StyleMint! Wanna enter? I love tumeric for skin care. I didn't actually know that you could eat/drink it and get good results. I've just used to powder on my skin to deal with heat rash. I just tried to turmeric tea and I was sooo afraid to drink it. But it is really delicious. I added some ginger to it as well and sweetened it with honey. I'm pretty sure Ill be drinking this close to every day. I just made the turmeric tea....I love it and have read other articles on the benefits . I LOVE tea and Tumeric!! Gonna try this for sure! I love turmeric! I make a mix of 2 parts Cinnamon, 1 part Ginger and 1 part Turmeric, and use it to make a spice tea that is delicious hot or cold. All these spices are anti-inflamitory and it really does help with arthritis pain. Thanks for posting! I am going to give this one a try because I'm all the time looking for good things to improve my health and skin. thanks you for all your help Post. I cant wait to try this but is anyone elses turmeric gritty? Mine looks like a fine powder but it is really gritty. How do you make this with fresh turmeric? I have some fresh turmeric, I'm going to try grating it, the way I make fresh ginger tea. Saw turmeric root at Whole Foods yesterday, almost bought some but didnt know what to do with it, now I know, will get some next time & use fresh! How much do you reccommend to drink a day? I also use cinnamon, ginger and tumeric with some vanilla stivia, lemon and some coconut oil. Wonderful tea! i just put a 1/2 tsp in a glass of water ( about 12 oz) and stir - it dossolves and i drink it up :) I also add 1/2 tsp paprike which doesn't dissolve but gives it quite a kick and also has amazing health benefits! This is so interesting i have seen turmeric being used in so many different ways but never imagined it being converted into a tea ....that is so interesting would try it for a change as all that i eat in lunch and dinner does have ginger ,garlic turmeric ...Thank you ..
My answer is mostly for Kelly ! Stir all 3 ingrédients with a clean plastic spoon for a couple minutes untill the texture become a white creamy color. Apply every night before going to sleep and see the difference after 2 weeks . You can buy all 3 products at first it will cost Under $50.00 but you can make this anti-aging night cream for many other time as you needed. It is a big saving in the end instead of paying high price for an other product on the market that would only last for a couple of months. We can get fresh turmeric so I might grate it and brew it with my usual mix of fresh garden herbs which includes fresh stevia and sometimes fresh ginger and lemon. Turmeric milk is also very tasty and is more traditional, I believe. Coconut or almond milk is delicious, adds extra creaminess and complements the spicy turmeric. I drink this almost everyday, I introduced this drink to my hubby..and he likes it. I usually put a little bit of lemon juice in just like you make lemon tea. Also you can use tamarind, boil together with turmeric and add honey or any other sweetener as you wish. Enjoy!! i am guessing you could add turmeric when making a batch of kombucha too? recently I have been searching for new treatments for my arthritis pain that does not include anti inflammatories. i have been to an Herbal Doctor and have been put on supplements.Seems to be working. Turmeric is one thing that I have included in my life. Thank you for posting this. I have been trying to find new ways to use turmeric so this fits the bill. Thanks for posting. I have used Turmeric as a tea and sometimes take the capsules. however i noticed my toe nails turn a bright yellow.Eventually when i stop taking this they turn back to there natural color.also eliminates muscle pain. I just drink with chicken broth with Garlic and sometimes add shredded kale or baby bok choy. I drink soups a lot and keep my crock pot going all day on simmer. I met an Indian woman who is twice my age yet looks half my age. I asked her what her secret is and she told me to mix turmeric with cream (regular cooking cream) to make a paste and smear it on my face. She swears by it. That was six months ago and silly me I haven't tried it and I can tell I've aged ten years in that time. I really should stop being so lazy and try it. My question is since I have light skin would it stain my skin yellow? Amelia, that sounds interesting about the turmeric added to cooking cream, but I am not sure what kind of cream are you talking about? Did she mention exactly what that is? Do you just mix it with like a heavy cream or??? I bet it would stain light skin but what I wonder is how long would it take for it to come off? It might be worth a once a week thing to do. Try it on a patch on your arm and see what happens. I'm going to try this in my second ferment for my kombucha. it sounds really good! I have arthritis and I'm getting old! In Indo-Pak culture on marriages a paste is prepared with Turmeric & Maize flower which is called 'Obitna'. It is used to clean and bright the body of both groom and bride. It really works. Thanks so much for all you share! Esp. loving all your skin care info! Regarding this tea - Another great thing to add is freshly grated ginger (or powdered) and coconut oil - turmeric is best taken with a fat, so the coconut oil is a great addition to the tea! Will this upset acid reflux ? Is Turmeric spice (ground) the same as powder? I just used the ground turmeric in my spice cabinet I strained it as instructed and it tasted fine. But with continued use I am wondering what would my teeth look like? I add turmeric powder in every dish that is yellow or red color like meat sauce, pumpkin/sweet potatoes soup, lasagna, pancakes, grilled meat... particularly crumble egg and omelets for breakfast. If you don't add too much, no one would ever know. I am an Indian woman and when I was getting married many years ago I had to be subjected to this hardi paste 3 days before the wedding..which consisted of grated turmeric and coconut oil . It was smeared on me with a plastic bag and I couldn't touch anything cause it caused everything to stain a bright yellow. I was not a pretty sight and looked bright yellow. However on the day of the wedding ,I was instructed to bathe with " dahee" meaning raw milk or yoghurt and all the yellow came off and I was left with the most amazing glowing skin befitting of a bride. my skin never looked so good. Do we put turmeric mask on effected area only or the whole face ?? ?